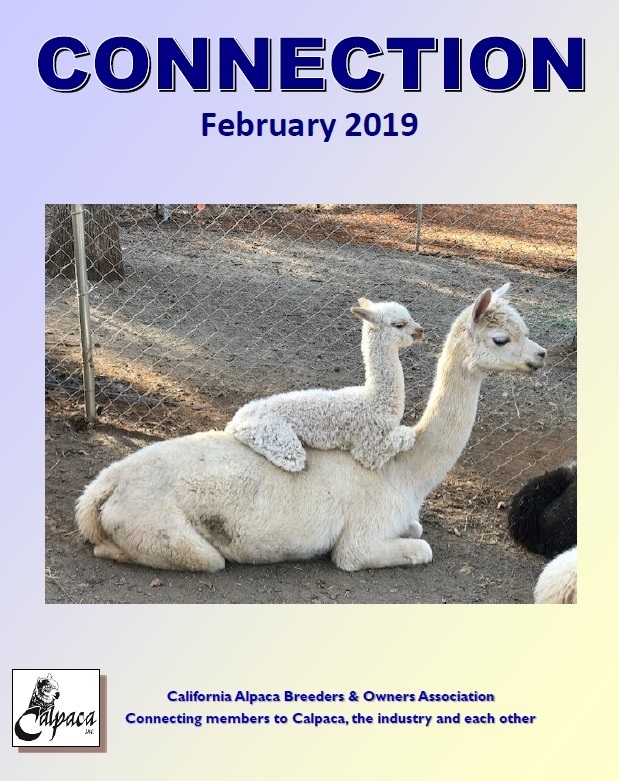 Connect with California alpaca farmers! 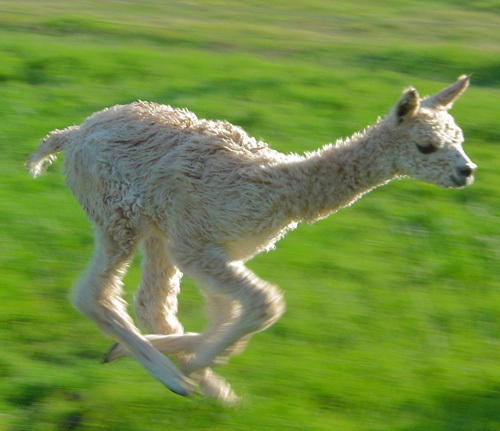 A baby alpaca, known as a "cria", has fun running! 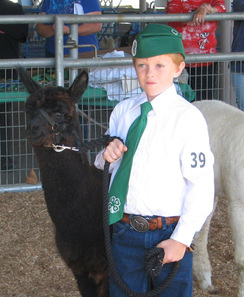 Justen paricipates in a 4-H alpaca event. Welcome to the best place to find alpaca farms in California! In California's tradition as a pioneer of progress, Calpaca was the first—and is the oldest—regional alpaca association in the Northern Hemisphere and has been a leader in the American alpaca industry since 1989. Its member farms are home to the oldest, most respected bloodlines in North America. DON'T MISS CALPACA'S NEXT QUARTERLY MEETING!!! Do your flying fingers set a calculator on fire? Are you an early bird who loves the smell of fresh brewed coffee? Do you like helping others? Do you like spending time with alpaca enthusiasts? Would you like to listen to judge’s comments? Do you like being part of the excitement of an alpaca show but don’t really want to show? Would you like to experience the challenge of herding cats? 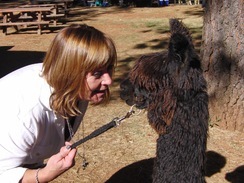 The educational afternoon portion of the May Calpaca meeting will be focused on providing training for show volunteers. We haven’t provided this training in several years. 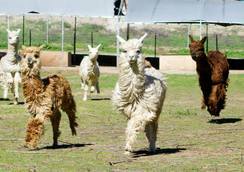 With all of the new alpaca owners joining Calpaca we thought now would be an excellent time. Calpaca hosts two alpaca shows a year and volunteers are critical to a show that runs smoothly and supports the exhibitors and show event team. We will provide overviews and detailed training of the various volunteer jobs required by the AOA show division. This will be a fun and interactive presentation from those who have served as volunteers for the various jobs in past shows. All are invited. New to alpacas or seasoned old-timers are encouraged to attend. 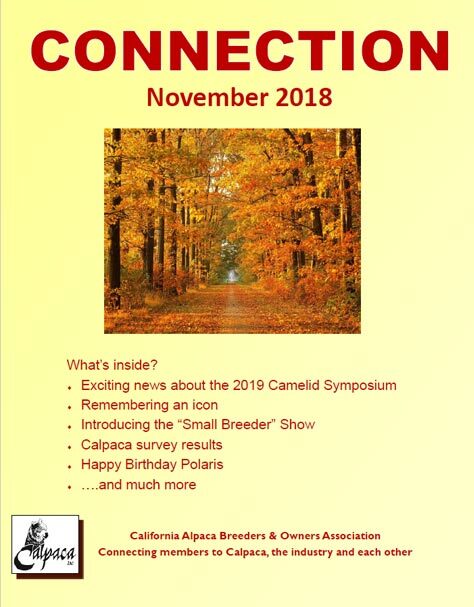 If you haven’t attended a meeting before come see why Calpaca folks are known as some of the friendliest in the industry. You don’t have to be a Calpaca member to be a volunteer. If you're new to alpacas and want to get more information about these friendly producers of the world's finest, most luxurious fiber, find a farm near you and schedule a visit today to see these magical animals for yourself! Or check out alpacas for sale or alpaca products from our member farms. 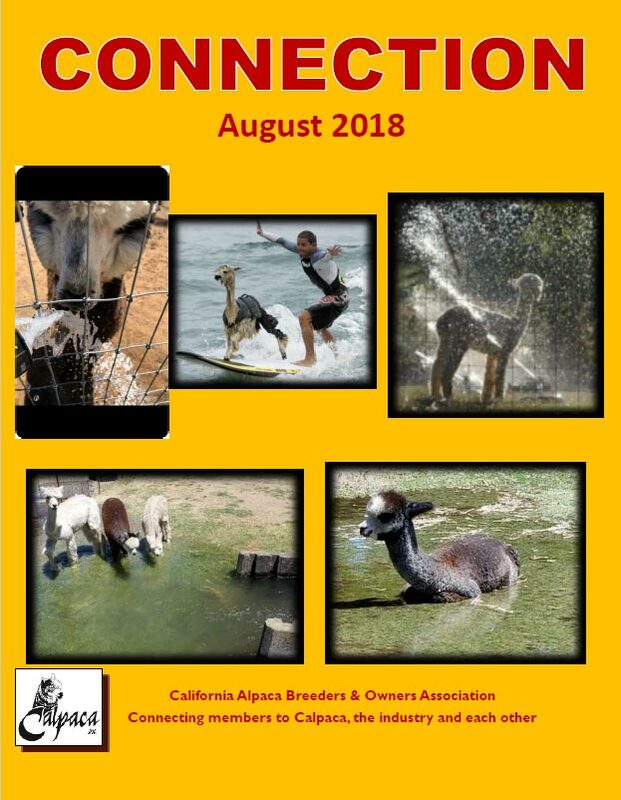 If you’re currently an alpaca breeder in California, Oregon, Nevada, or Arizona, consider joining Calpaca today and become a part of this highly respected community of breeders and benefit from the marketing opportunities Calpaca offers.